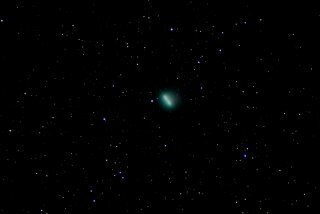 With the moon waxing towards full, it's not an ideal time to observe Comet Swan - but at least we've had a couple of clear nights. 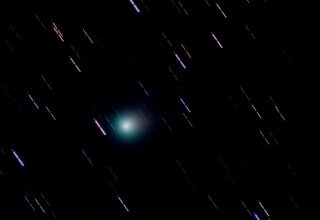 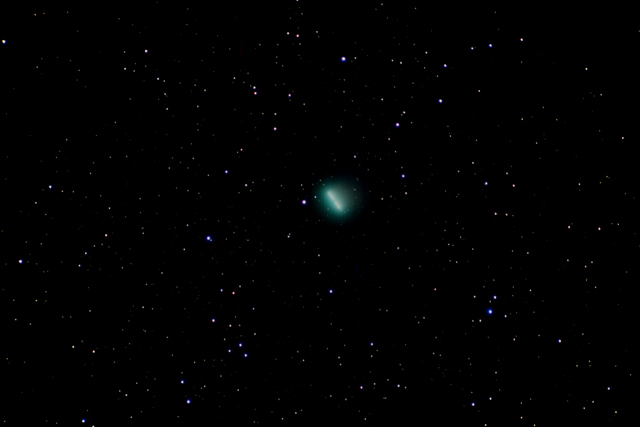 The following pictures are based on the same raw data (50 frames of 30secs @ ISO1600), with image alignment on stars in the first picture and on the comet nucleus in the second. Notice how far the comet has travelled across the background stars in only 25 minutes.